$5 Flat Rate Shipping on Domestic Orders of $50 or More! A few weeks ago I made my 1st ever front page worthy Etsy Treasury! 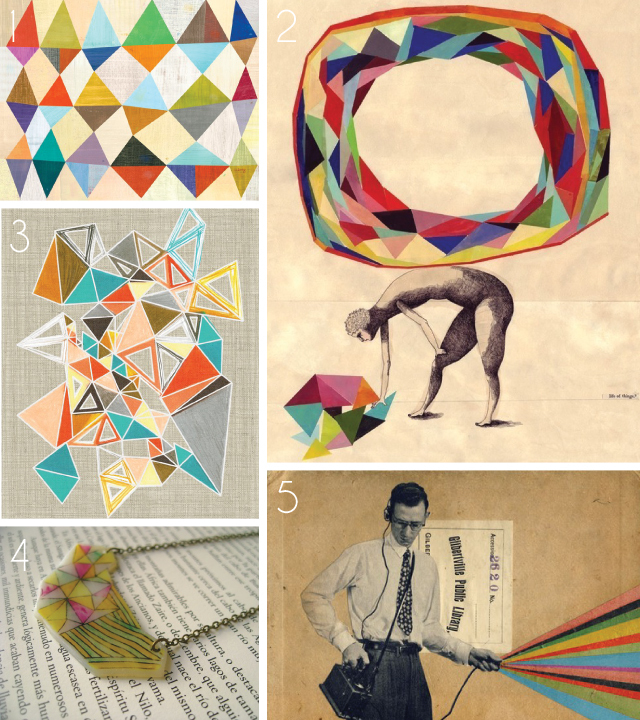 The theme was triangles, and above are a few of my favorites from that treasury! Tell me, how much longer to you think that things like triangles, and owls will be the trend? What's coming next? So hard to stay on top of all of this! © 2019 Gingiber • Site by Aeolidia.